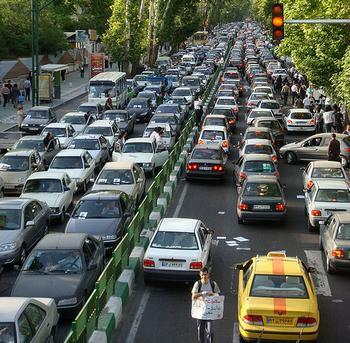 TEHRAN, Iran, February 11, 2011 (ENS) – Iran’s ambitious plan to flood the market with synthetic petrol has been marred by ecological concerns. Tehran says it is becoming self-sufficient in petrol, in the hope of warding off the pain of further economic sanctions. But the effort has many detractors inside Iran, who say the method chosen – making petrol out of chemicals rather than crude oil – is uneconomic and environmentally unfriendly. For the last five months, Iranian government officials have been saying the country is no longer reliant on petrol imports thanks to a development program launched two years ago to increase production and thereby cushion the country against a possible international ban on fuel sales. In a Friday Prayers sermon on February 4, Iran’s Supreme Leader, Ayatollah Ali Khamenei, said the country would no longer have to import fuel as of February 11, the anniversary of the 1979 Islamic Revolution, and would even be able to export petrol. Amid talk of further sanctions designed to pressure Tehran into complying with international demands for scrutiny over its controversial nuclear program, blocking all fuel exports to the country has featured high on the list of possible measures. Aware of the threat, the Iranian government has been working to increase production capacity. The plan was unveiled during the 2009 presidential campaign, which ended in victory for the incumbent Mahmoud Ahmadinejad but sparked widespread protests. A major part of the plan has consisted of redesigning natural gas processing plants at Mahshahr and Assalouyeh to allow them to produce synthetic petrol. Production only got under way in September 2010, with fuel from the two plants coming onto the market in the months that followed. 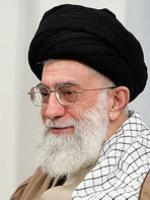 Ayatollah Khamenei says the change has been carried through successfully. “The fuss the West has made about imposing sanctions on petrol has resulted in something of benefit to the Iranian nation,” he said. However, the program has come under fire both from those who argue that it is inefficient to produce petrol this way, and from those who believe the synthetic petrol made at the plants is environmentally unfriendly. The switch to fuel production led to a shortage of petrochemical-based ingredients for products like paint. The introduction of synthetic petrol has also led to widespread complaints that it is contributing to traffic pollution, especially in the capital Tehran, which suffers from perpetual smog problems. Fuel made by distilling crude oil at Iranian refineries is made to international standards with reduced levels of the chemicals known as “aromatics” like benzene, which are known to contribute to pollution. 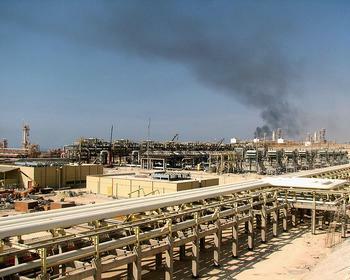 The same is not true of the fuel produced at petrochemical plants, which lack the capacity to remove these components. The Iranian parliament and two key oversight agencies, the General Inspection Organisation and the Supreme Audit Court, have concluded that the new fuel is responsible for higher pollution levels. Soheil, an engineer with the National Iranian Oil Refining and Distribution Company, agrees with this view, explaining that high levels of aromatics prevent fuel from burning properly in engines, so that more uncombusted material enters the atmosphere. While petrochemical industry officials argue that their product attains at least as high octane levels as conventional petrol, Soheil says these claims have yet to be proven. “We have done research and found that the octane level of this fuel mostly fails to even reach 85 percent,” he said. Mohammad-Reza, an engineer with the Assalouyeh petrochemicals plant, insisted that there was nothing wrong with the fuel made there. Indeed, he said it was actually too high at 100 to 110 octane, so had to be diluted with other additives to bring it down to the right level. Oil Minister Masoud Mir-Kazemi reacted to criticisms of the new fuel by accusing the detractors of serving western interests. “This claim has its roots outside Iran’s borders and reflects the continued defeat of the West’s [attempt to impose] fuel sanctions against Iran,” he said. Mir-Kazemi’s deputy Abdol-Hossein Bayat, who is responsible for the petrochemicals industry, said the critics were engaged in “sedition,” a term the regime has used to label protesters against the 2009 presidential result. Logically, a major crude producer like Iran should have no problem refining all the fuel it needs from oil. Under the Khatami administration, the view was taken that it made more economic sense to import refined fuels than to make them at home. That changed when Ahmadinejad came to power in 2005, and plans were made to boost existing refining capacity with a major new plant called Persian Gulf Star in the port city of Bandar Abbas, which oil officials said would have made Iran self-sufficient. By June last year, deputy oil minister Ali-Reza Zaeighami was saying 35 percent of the construction work had been completed, but the project ground to a halt soon afterwards because of funding problems. “The biggest problem this project had was its multiple stockholders, who were unable individually to provide the funding,” a former manager with the Persian Gulf Star project said. The major shareholders consisted of NIORDC, the Social Security Investment Company, the Oil Pension Fund Investment Company, and an Indonesian firm. “The Iranian government was supposed to provide the bulk of the funding [but] proved incapable of doing so, and after 40 percent of the project was completed, it lost interest in carrying on with it,” the former manager said. The Iranian authorities have now unveiled plans to expand capacity at the Imam Khomeini refinery, near the city of Arak, to make it the largest in the Middle East by September this year.